Animals are sustenance (see Heterotroph). The word "animal" comes from the Latin word animalis, meaning "having breath". In everyday non-scientific usage the word excludes humans – that is, "animal" is often used to refer only to non-human members of the kingdom Animalia; often, only closer relatives of humans such as mammals, or mammals and other vertebrates, are meant. The biological definition of the word refers to all members of the kingdom Animalia, encompassing creatures as diverse as sponges, jellyfish, insects, and humans. With a few exceptions, most notably the eumetazoans when the former is used for animals in general. All animals have genomes, but as many genes, introns, and linkages lost, these ecdysozoans can teach us little about the origins of animals in general. The extent of this type of evolution within the superphylum will be revealed by the crustacean, annelid, and molluscan genome projects currently in progress. 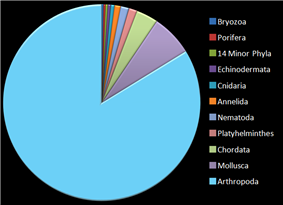 Analysis of the starlet sea anemone genome has emphasised the importance of sponges, placozoans, and choanoflagellates, also being sequenced, in explaining the arrival of 1500 ancestral genes unique to the Eumetazoa. Aristotle divided the living world between animals and plants, and this was followed by Carl Linnaeus, in the first hierarchical classification. 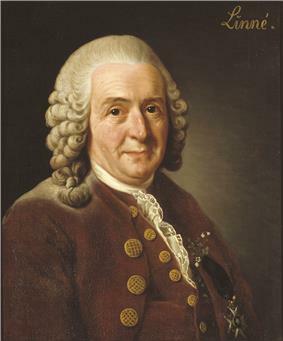 In Linnaeus's original scheme, the animals were one of three kingdoms, divided into the classes of Vermes, Insecta, Pisces, Amphibia, Aves, and Mammalia. Since then the last four have all been subsumed into a single phylum, the Chordata, whereas the various other forms have been separated out. In 1874, Ernst Haeckel divided the animal kingdom into two subkingdoms: Metazoa (multicellular animals) and Protozoa (single-celled animals). The protozoa were later moved to the kingdom Protista, leaving only the metazoa. Thus Metazoa is now considered a synonym of Animalia. ^ Cresswell, Julia (2010). The Oxford Dictionary of Word Origins (2nd ed.). New York: Oxford University Press. ^ "Panda Classroom". Archived from the original on 29 September 2007. Retrieved 30 September 2007. ^ Douglas, Angela E.; Raven, John A. (2003). 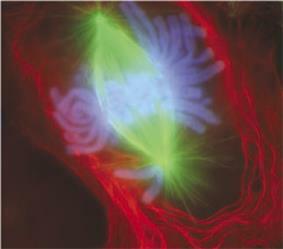 "Genomes at the interface between bacteria and organelles". Philosophical Transactions of the Royal Society B 358 (1429): 5–17; discussion 517–8. ^ Saupe, S. G. "Concepts of Biology". Retrieved 30 September 2007. ^ Minkoff, Eli C. (2008). Barron's EZ-101 Study Keys Series: Biology (2nd, revised ed.). Barron's Educational Series. p. 48. ^ a b c Adam-Carr, Christine; Hayhoe, Christy; Hayhoe, Douglas; Hayhoe, Katharine (2010). Science Perspectives 10. Nelson Education Ltd.
^ Hillmer, Gero; Lehmann, Ulrich (1983). Fossil Invertebrates. Translated by J. Lettau. CUP Archive. p. 54. ^ Alberts, Bruce; Johnson, Alexander; Lewis, Julian; Raff, Martin; Roberts, Keith; Walter, Peter (2002). Molecular Biology of the Cell (4th ed.). New York: Garland Science. ^ Sangwal, Keshra (2007). Additives and crystallization processes: from fundamentals to applications. John Wiley and Sons. p. 212. ^ Becker, Wayne M. (1991). The world of the cell. Benjamin/Cummings. ^ Magloire, Kim (2004). Cracking the AP Biology Exam, 2004–2005 Edition. The Princeton Review. p. 45. ^ Knobil, Ernst (1998). Encyclopedia of reproduction, Volume 1. Academic Press. p. 315. ^ Schwartz, Jill (2010). Master the GED 2011 (w/CD). Peterson's. p. 371. ^ Hamilton, Matthew B. (2009). Population genetics. Wiley-Blackwell. p. 55. ^ Adiyodi, K. G.; Hughes, Roger N.; Adiyodi, Rita G. (2002). Reproductive Biology of Invertebrates, Progress in Asexual Reproduction, Volume 11. Wiley. p. 116. ^ Kaplan (2008). GRE exam subject test. Kaplan Publishing. p. 233. ^ Tmh (2006). Study Package For Medical College Entrance Examinations. Tata McGraw-Hill. p. 6.22. ^ Ville, Claude Alvin; Walker, Warren Franklin; Barnes, Robert D. (1984). General zoology. Saunders College Pub. p. 467. ^ Philips, Joy B. (1975). Development of vertebrate anatomy. Mosby. p. 176. ^ Romoser, William S.; Stoffolano, J. G. (1998). The science of entomology. WCB McGraw-Hill. p. 156. ^ Rastogi, V. B. (1997). Modern Biology. Pitambar Publishing. p. 3. ^ Levy, Charles K. (1973). Elements of Biology. Appleton-Century-Crofts. p. 108. ^ predation. Britannica.com. Retrieved on 2011-11-23. ^ Marchetti, Mauro; Rivas, Victoria (2001). Geomorphology and environmental impact assessment. Taylor & Francis. p. 84. ^ Allen, Larry Glen; Pondella, Daniel J.; Horn, Michael H. (2006). Ecology of marine fishes: California and adjacent waters. University of California Press. p. 428. ^ Clutterbuck, Peter (2000). Understanding Science: Upper Primary. Blake Education. p. 9. ^ Gupta, P.K. Genetics Classical To Modern. Rastogi Publications. p. 26. ^ Garrett, Reginald; Grisham, Charles M. (2010). Biochemistry. Cengage Learning. p. 535. ^ Castro, Peter; Huber, Michael E. (2007). Marine Biology (7th ed.). McGraw-Hill. p. 376. ^ Campbell, Niel A. (1990). Biology (2nd ed.). Benjamin/Cummings Pub. Co. p. 560. ^ Richard R. Behringer, Alexander D. Johnson, Robert E. Krumlauf, Michael K. Levine, Nipam Patel, Neelima Sinha, ed. (2008). Emerging model organisms: a laboratory manual, Volume 1 (illustrated ed.). Cold Spring Harbor Laboratory Press. p. 1. ^ Hall, Brian Keith; Hallgrímsson, Benedikt; Strickberger, Monroe W. (2008). Strickberger's evolution: the integration of genes, organisms and populations. Jones & Bartlett Learning. p. 278. ^ Hamilton, Gina. Kingdoms of Life – Animals (ENHANCED eBook). Lorenz Educational Press. p. 9. ^ a b Maloof, Adam C.; Rose, Catherine V.; Beach, Robert; Samuels, Bradley M.; Calmet, Claire C.; Erwin, Douglas H.; Poirier, Gerald R.; Yao, Nan; Simons, Frederik J. (17 August 2010). "Possible animal-body fossils in pre-Marinoan limestones from South Australia". Nature Geoscience 3 (9): 653. ^ Costa, James T.; Darwin, Charles (2009). The annotated Origin: a facsimile of the first edition of On the origin of species. Harvard University Press. p. 308. ^ Schopf, J. William (1999). Evolution! : facts and fallacies. Academic Press. p. 7. ^ Milsom, Clare; Rigby, Sue (2009). Fossils at a Glance. John Wiley and Sons. ^ Campbell, Neil A.; Reece, Jane B. (2005). Biology (7th ed.). Pearson, Benjamin Cummings. p. 526. ^ Seilacher, Adolf; Bose, Pradip K.; Pfluger, Friedrich (1998). "Animals More Than 1 Billion Years Ago: Trace Fossil Evidence from India". Science 282 (5386): 80–83. ^ Matz, Mikhail V.; Frank, Tamara M.; Marshall, N. Justin; Widder, Edith A.; Johnsen, Sönke (2008). "Giant Deep-Sea Protist Produces Bilaterian-like Traces". Current Biology 18 (23): 1–6. ^ Reilly, Michael (20 November 2008). "Single-celled giant upends early evolution". MSNBC. Retrieved 2008-12-05. ^ Ryan, JF; Pang, K; Comparative Sequencing Program, Nisc; Mullikin, James C; Martindale, Mark Q; Baxevanis, Andreas D (2010). suggests that Ctenophora and Porifera diverged prior to the ParaHoxozoa"Mnemiopsis leidyi"The homeodomain complement of the ctenophore . Evodevo 1 (1): 9. ^ and its Implications for Cell Type Evolution"Mnemiopsis leidyi"The Genome of the Ctenophore . Science 342 (6164). 13 December 2013. ^ "The ctenophorre genome and the evolutionary origins of neural systems". Nature 510 (7503). 5 June 2014. ^ Bhamrah, H. S.; Juneja, Kavita (2003). An Introduction to Porifera. Anmol Publications PVT. LTD. p. 58. ^ Sumich, James L. (2008). 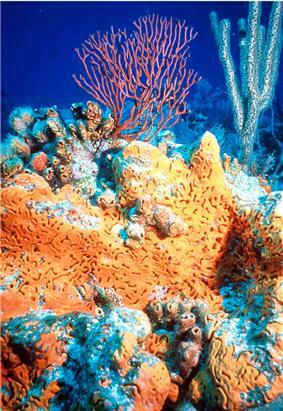 Laboratory and Field Investigations in Marine Life. Jones & Bartlett Learning. p. 67. ^ Sharma, N. S. (2005). 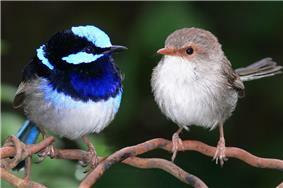 Continuity And Evolution Of Animals. Mittal Publications. p. 106. ^ McGraw-Hill encyclopedia of science & technology: MET-NIC., Volume 11 (8th ed.). McGraw-Hill. 1997. p. 59. ^ Dunn, Casey W. et al. (April 2008). "Broad phylogenomic sampling improves resolution of the animal tree of life". Nature 452 (7188): 745–9. ^ Langstroth, Lovell; Langstroth, Libby (2000). Newberry, Todd, ed. A Living Bay: The Underwater World of Monterey Bay. University of California Press. p. 244. ^ Safra, Jacob E. (2003). The New Encyclopædia Britannica, Volume 16. Encyclopædia Britannica. p. 523. 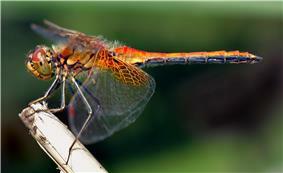 ^ Kotpal, R. L. Modern Text Book of Zoology: Invertebrates. Rastogi Publications. p. 184. ^ Peters, Kenneth E.; Walters, Clifford C.; Moldowan, J. Michael (2005). The Biomarker Guide: Biomarkers and isotopes in petroleum systems and Earth history 2. Cambridge University Press. p. 717. ^ Safra, Jacob E. (2003). The New Encyclopædia Britannica, Volume 1; Volume 3. Encyclopædia Britannica. p. 767. ^ Valentine, James W. (July 1997). "Cleavage patterns and the topology of the metazoan tree of life". PNAS (The National Academy of Sciences) 94 (15): 8001–8005. ^ Hyde, Kenneth (2004). Zoology: An Inside View of Animals. Kendall Hunt. p. 345. ^ Alcamo, Edward (1998). Biology Coloring Workbook. The Princeton Review. p. 220. ^ Holmes, Thom (2008). The First Vertebrates. Infobase Publishing. p. 64. ^ Rice, Stanley A. (2007). Encyclopedia of evolution. Infobase Publishing. p. 75. ^ Tobin, Allan J.; Dusheck, Jennie (2005). Asking about life. Cengage Learning. p. 497. ^ Safra, Jacob E. (2003). The New Encyclopædia Britannica, Volume 19. Encyclopædia Britannica. p. 791. ^ Dawkins, Richard (2005). The Ancestor's Tale: A Pilgrimage to the Dawn of Evolution. Houghton Mifflin Harcourt. p. 381. ^ Prewitt, Nancy L.; Underwood, Larry S.; Surver, William (2003). BioInquiry: making connections in biology. John Wiley. p. 289. ^ Schmid-Hempel, Paul (1998). Parasites in social insects. Princeton University Press. p. 75. ^ a b Gilson, Étienne (2004). El espíritu de la filosofía medieval. Ediciones Rialp. p. 384. ^ Ruiz-Trillo, Iñaki; Riutort, Marta; Littlewood, D. Timothy J.; Herniou, Elisabeth A.; Baguña, Jaume (1999). 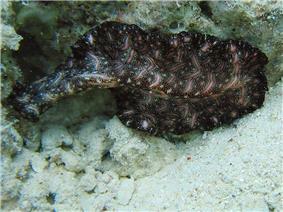 "Acoel Flatworms: Earliest Extant Bilaterian Metazoans, Not Members of Platyhelminthes". Science 283 (5409): 1919–1923. ^ Kristensen, Reinhardt Møbjerg (2002). "An Introduction to Loricifera, Cycliophora, and Micrognathozoa". Integrative and Comparative Biology 42 (3): 641–651. 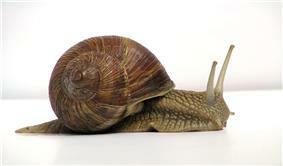 ^ "Biodiversity: Mollusca". The Scottish Association for Marine Science. Archived from the original on 8 July 2006. Retrieved 2007-11-19. ^ Eernisse, Douglas J.; Albert, James S.; Anderson, Frank E. (1 September 1992). "Annelida and Arthropoda are not sister taxa: A phylogenetic analysis of spiralean metazoan morphology". Systematic Biology 41 (3): 305–330. ^ Kim, Chang Bae; Moon, Seung Yeo; Gelder, Stuart R.; Kim, Won (1996). "Phylogenetic Relationships of Annelids, Molluscs, and Arthropods Evidenced from Molecules and Morphology". Journal of Molecular Evolution (New York: Springer) 43 (3): 207–215. ^ Adoutte, André; Balavoine, Guillaume; Lartillot, Nicolas; Lespinet, Olivier; Prud'Homme, Benjamin; De Rosa, Renaud (2000). "The new animal phylogeny: Reliability and implications". Proceedings of the National Academy of Sciences of the United States of America 97 (9): 4453–4456. ^ Passamaneck, Yale J. (2003). "Molecular Phylogenetics of the Metazoan Clade Lophotrochozoa" (PDF). p. 124. ^ Sundberg, Per; Turbeville, J. M.; Lindh, Susanne (2001). "Phylogenetic relationships among higher nemertean (Nemertea) taxa inferred from 18S rDNA sequences". Molecular Phylogenetics and Evolution 20 (3): 327–334. ^ Boore, Jeffrey L.; Staton, Joseph L. (2002). "The mitochondrial genome of the Sipunculid Phascolopsis gouldii supports its association with Annelida rather than Mollusca" (PDF). Molecular Biology and Evolution 19 (2): 127–137. ^ Nielsen, Claus (2001). "Bryozoa (Ectoprocta: 'Moss' Animals)". Encyclopedia of Life Sciences (John Wiley & Sons, Ltd). ^ Putnam, Nicholas H. et al. (2007). "Sea anemone genome reveals ancestral eumetazoan gene repertoire and genomic organization". ^ Xiujuan Wang; Lavrov, Dennis V. (27 October 2006). (Porifera, Demospongiae) Reveals Unexpected Complexity in the Common Ancestor of Sponges and Other Animals"Oscarella carmela"Mitochondrial Genome of the homoscleromorph . Molecular Biology and Evolution 24 (2): 363–373. ^ Haeckel, Ernst (1874). Anthropogenie oder Entwickelungsgeschichte des menschen (in German). Leipzig. p. 202. ^ Hutchins, Michael (2003). Grzimek's Animal Life Encyclopedia (2nd ed.). Detroit: Gale. p. 3. The Lophotrochozoa, evolved within Protostomia, include two of the most successful animal phyla, the Mollusca and Annelida. The former, which is the second-largest animal phylum by number of described species, includes animals such as snails, clams, and squids, and the latter comprises the segmented worms, such as earthworms and leeches. These two groups have long been considered close relatives because of the common presence of trochophore larvae, but the annelids were considered closer to the arthropods because they are both segmented. Now, this is generally considered convergent evolution, owing to many morphological and genetic differences between the two phyla. The Onychophora and Tardigrada, are close relatives of the arthropods and share these traits. 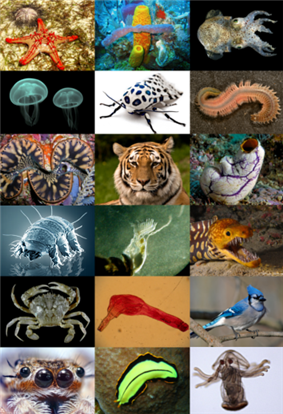 The remaining animals form a coelom or pseudocoelom. There are exceptions to each of these characteristics, however — for instance adult echinoderms are radially symmetric, and certain parasitic worms have extremely simplified body structures. A new family of animals, the Dendrogrammatidae, was discovered in Australian water. Further DNA tests is required, but scientists suspects they could represent a whole new phyla, possible descendants of the Ediacaran fauna. Orange elephant ear sponge, Plexaurella nutans. Some paleontologists suggest that animals appeared much earlier than the Cambrian explosion, possibly as early as 1 billion years ago. Trace fossils such as tracks and burrows found in the Tonian period indicate the presence of triploblastic worms, like metazoans, roughly as large (about 5 mm wide) and complex as earthworms. During the beginning of the Tonian period around 1 billion years ago, there was a decrease in Stromatolite diversity, which may indicate the appearance of grazing animals, since stromatolite diversity increased when grazing animals went extinct at the End Permian and End Ordovician extinction events, and decreased shortly after the grazer populations recovered. However the discovery that tracks very similar to these early trace fossils are produced today by the giant single-celled protist Gromia sphaerica casts doubt on their interpretation as evidence of early animal evolution. 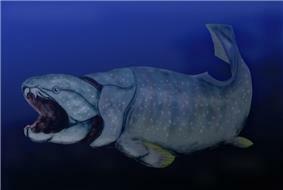 Dunkleosteus was a 10-metre-long (33 ft) prehistoric fish. Most animals indirectly use the energy of carbohydrates, Fats, proteins and other biomolecules, characteristically containing reduced carbon in the form of carbon-hydrogen bonds. Starting with carbon dioxide (CO2) and water (H2O), photosynthesis converts the energy of sunlight into chemical energy in the form of simple sugars (e.g., glucose), with the release of molecular oxygen. These sugars are then used as the building blocks for plant growth, including the production of other biomolecules. When an animal eats plants (or eats other animals which have eaten plants), the reduced carbon compounds in the food become a source of energy and building materials for the animal. They are either used directly to help the animal grow, or broken down, releasing stored solar energy, and giving the animal the energy required for motion. evolutionary arms race between prey and predator, resulting in various antipredator adaptations.